On this day in history, July 19, 1726, Brigadier General Jacob Bayley is born. Bayley was a farmer, soldier and local politician from Newbury, Vermont. Bayley was born in Massachusetts, but eventually migrated to northern New Hampshire. At that time, the territory now known as Vermont was part of the New Hampshire Grants, a disputed territory between New Hampshire and New York. It later became the state of Vermont. Bayley served in the local militia and in the French and Indian War where he rose to the rank of colonel. 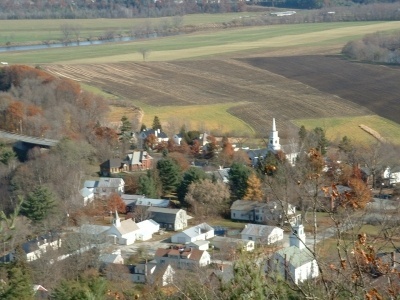 After the war, Bayley became one of the founders of Newbury, Vermont on the Connecticut River. He also served in several local offices, including as a judge and as a justice of the peace. When the American Revolution broke out, Bayley was appointed to Vermont's Council of Safety to coordinate the war effort. He also became a brigadier general of the Vermont militia. 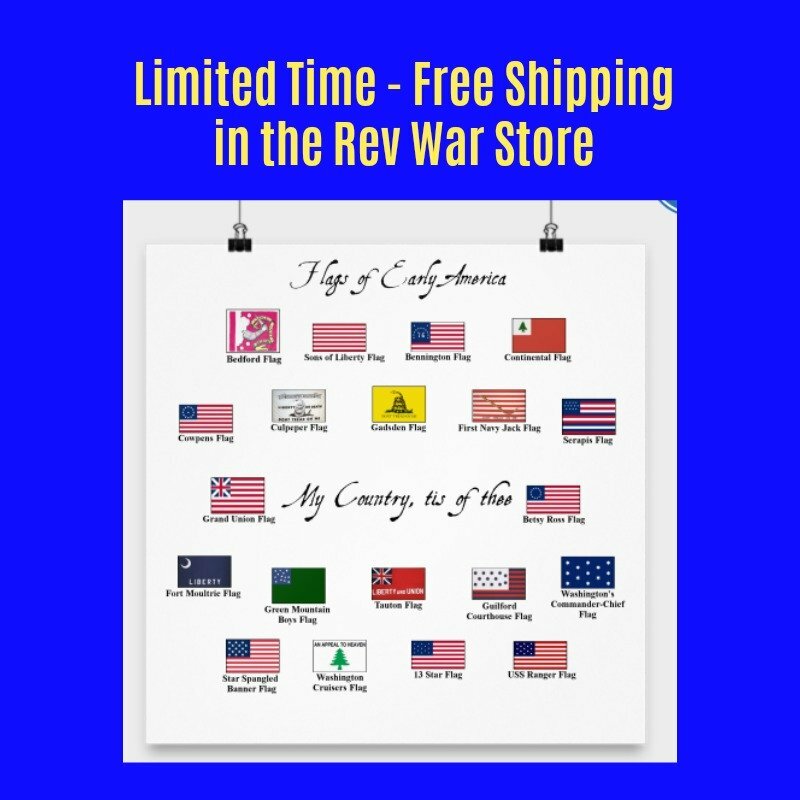 In 1776, Bayley was made commissary general of the Continental Army's Northern Department, an important position charged with procuring supplies and transporting them for the army. Bayley was partly responsible for what became known as the Bayley-Hazen Military Road. The Continental Congress had tried a failed invasion of British Quebec early in the war and plans were constantly thrown around for another such invasion. Part of the reason for the first failure was the difficulty in transporting troops and supplies across the northern wilderness to Canada. Consequently, plans were made to build a road from Newbury, Vermont to St. John's near Montreal. Bayley was one of the project's chief supporters and he finally convinced George Washington to fund the road. 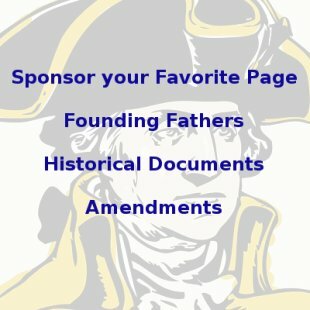 Washington sent Bayley 250 pounds to begin construction in 1776. The project was very costly, however, and Bayley spent much of his own fortune on it, for which he was never reimbursed. After building the road only a few miles, the project was called off due to rumors of a British attack. The road was continued on and off several times for the next 3 years, but it only ever stretched about 54 miles. It was eventually abandoned due to the great expense and to local opposition from residents who feared the British would use the road to stage an invasion. Bayley commanded a division at the Battle of Saratoga where his connections with local Indians proved invaluable in helping the Americans win the battle. During the war, many Vermonters wanted to remain part of the British Empire, but Bayley steadfastly refused to go along. 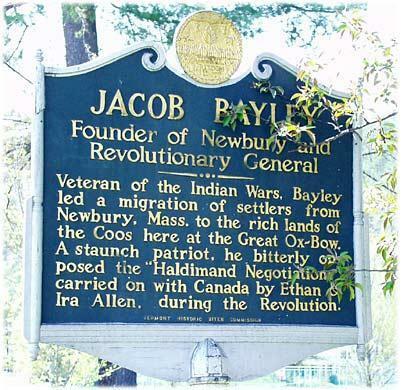 After the war, Jacob Bayley continued in local politics, serving as town selectman in Newbury and as a judge. He passed away in 1815 and was buried in Newbury's Oxbow Cemetery.